Beautifully remodeled Newark home in one of the best commute locations in the East Bay! Don't miss this lovely one-story 4 bed/2.5 baths home w/ an excellent layout. Greet your guests in the formal living room w/ vaulted ceilings & recessed lighting. Host a fancy dinner in the formal dining room w/ designer pendant light. Cook for all your loved one in the updated kitchen w/ quartz counters & backsplash, beautiful cabinetry & top of the line ss appliances. Entertain or relax in the cozy family room w/ fireplace&sliding glass door to the backyard patio & pool. Other fine features include hardwood flooring in the living room, dining&family room, custom remodeled baths, vaulted ceilings & large dressing room in the master suite, central AC system, & much more. Beautifully landscaped yards w/ an organic garden&fruit trees. 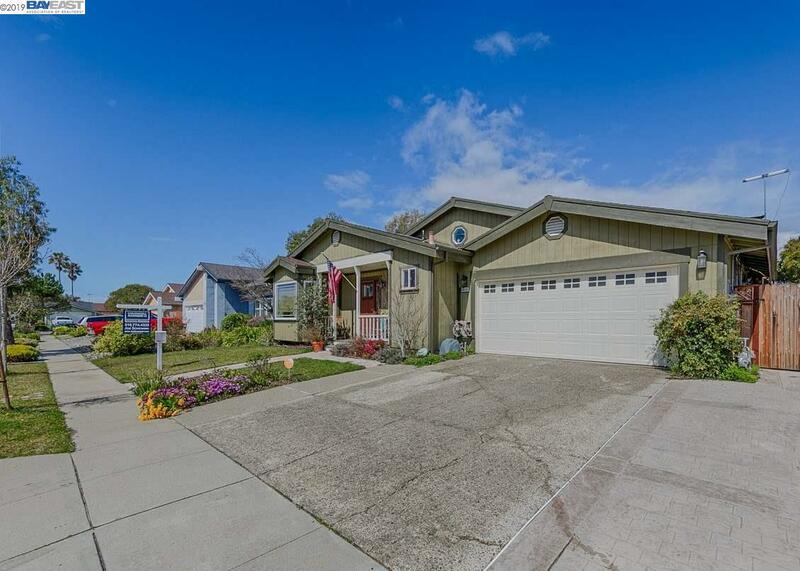 Located in a charming neighborhood served by quality schools including Birch Elementary & close to Hwy 84/ Dumbarton Bridge & 880 w/ easy access to Facebook & Google.